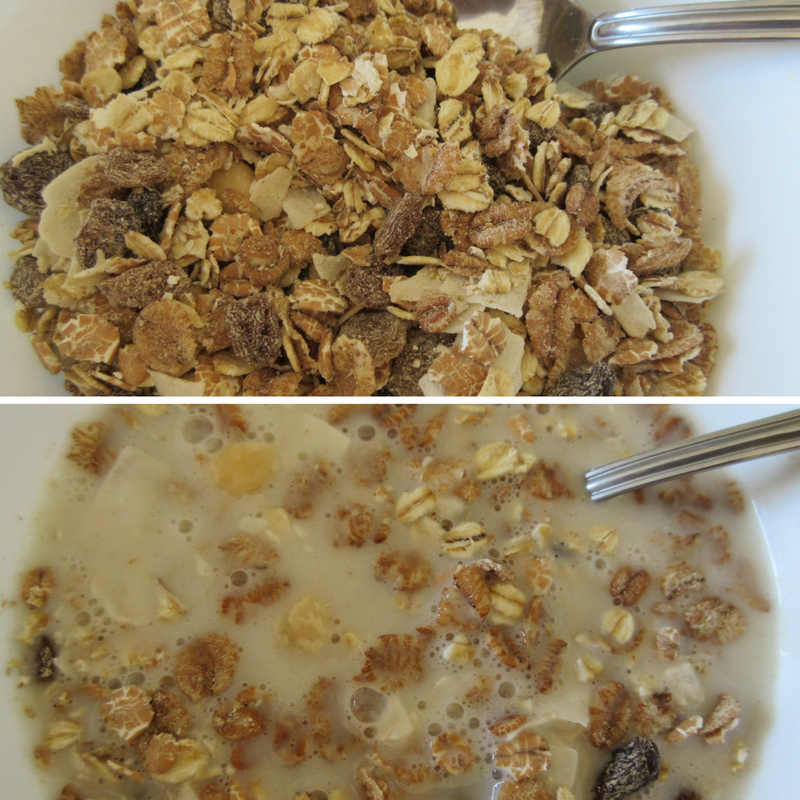 A few weeks ago I talked about my disappointment with the PC Organic cereals. I also mentioned that I had a new candidate in mind for my daily breakfast cereal. 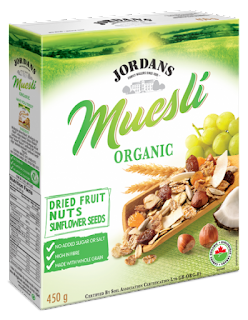 And this is it: Jordans' Organic Muesli. The reason why I had this cereal in mind is simply because it is the only cereal (other than the PC ones) that I can find that is organic and has no sugar. The current state of the breakfast cereal industry is pathetic. They are failing miserably to satisfy the really conscious consumer like me. This cereal smelled amazing as soon as I opened the package. I had it with almond milk and it tasted delicious. It tasted like real food (no chemical taste). I also loved that it has hazelnuts (which reminds me of nutella, and brings me happy memories without the sugar and other terrible ingredients they add to it). The downside is that it is quite sweet, because of all the dried fruit and coconut shaves they add. So I will probably not have this cereal in the winter. For the price I got, this is much cheaper than the PC Organics, because I only needed 1 serving to feel full and well-nourished. Conclusion: I think I found my new cereal!